I bought lots of red pepper. The price was about 3 euros per kg. I enjoy the aroma and the sweet taste of any colored peppers. Green peppers (capsicum) are less sweet. 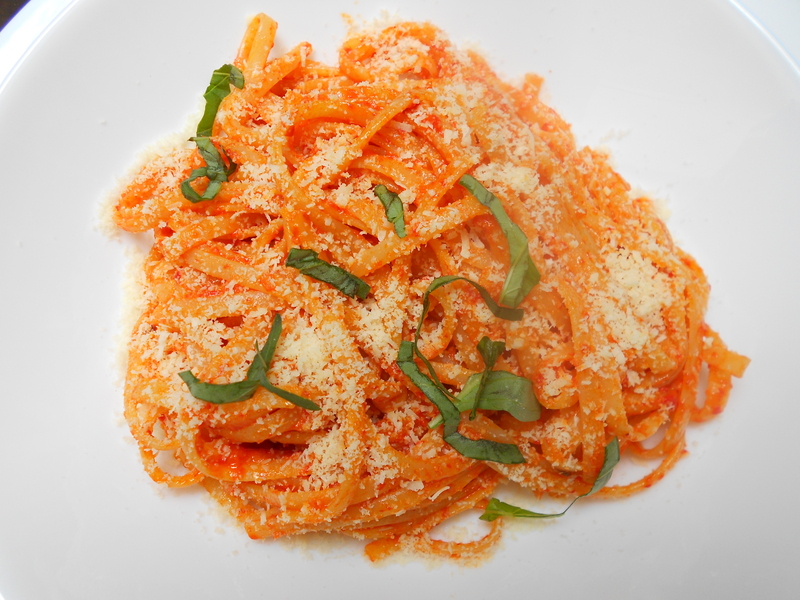 Red pepper sauce is a good marriage with pasta and a change to tomato sauce. Roast the peppers in the oven. I cut them in half. Place them skin up under oven grill. It can take 30 minutes or more. 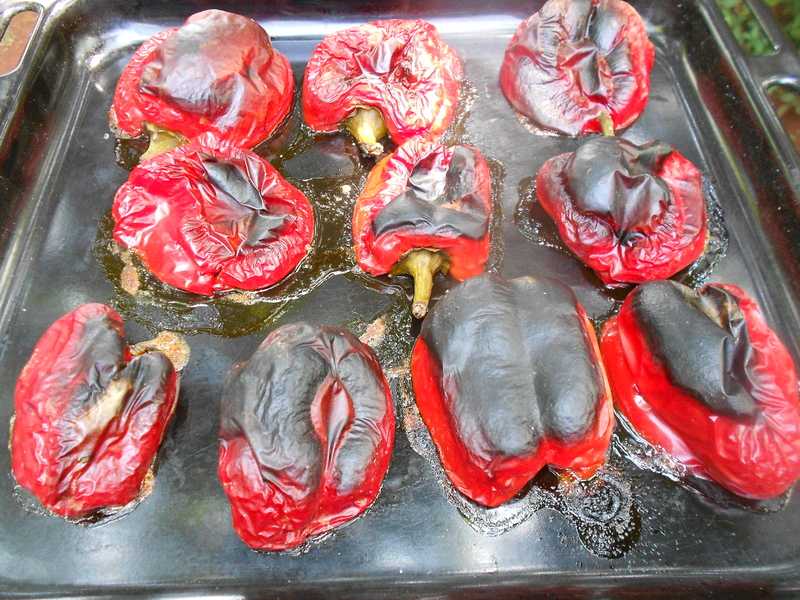 When the skin is charred place them in a strong plastic bag, wait 10 minutes and peel them when cool. Served with some shavings of basil leaves and a sprinkle of parmesan cheese. Love this pasta! Aren’t red bell peppers the best?!!! 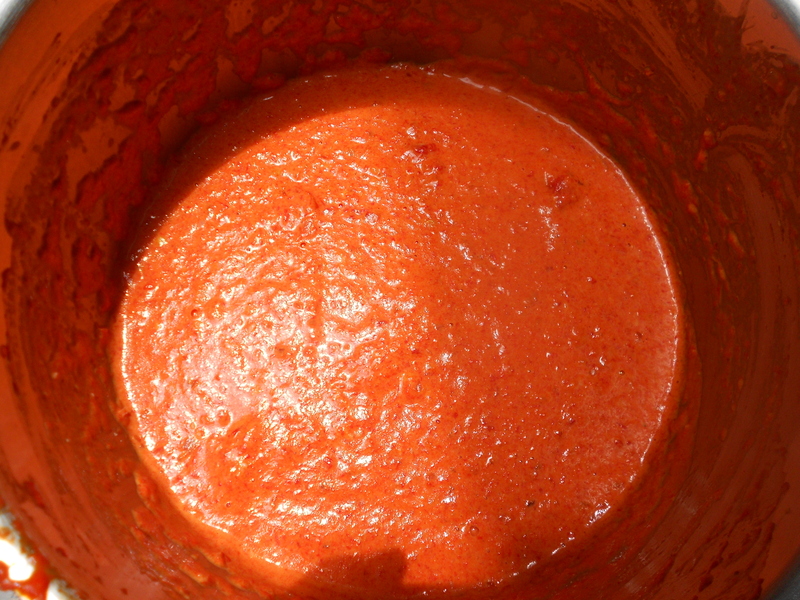 I love alternatives to plain marinara sauce and this is a go-to in my family! Like the idea of using cream. I’ve made something similar with addition of tomatoes.